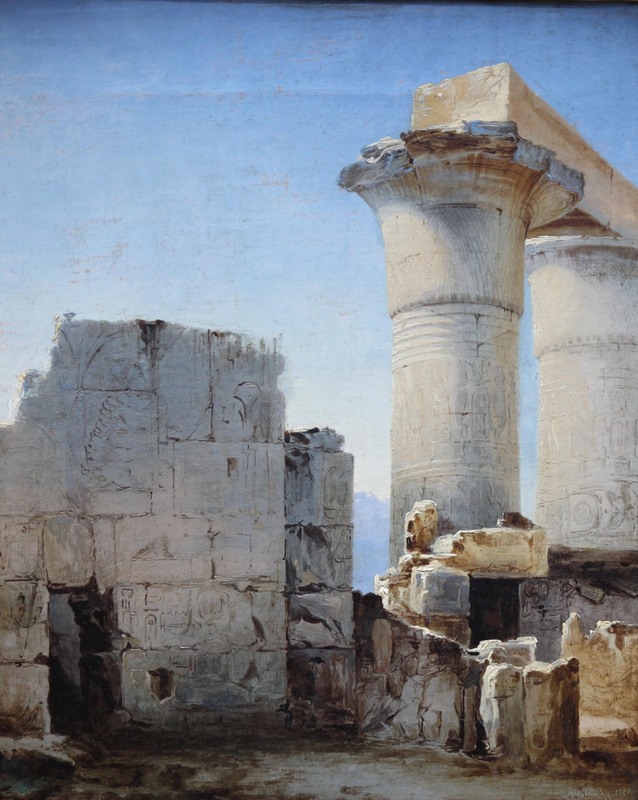 An original oil on canvas which dates to circa 1840 and depicts "Ancient Ruins”. Painted by listed Irish artist Jeremiah Hodges Mulcahy ARHA, it is housed in its original gilt frame. A very evocative reminder of change with beautiful light. A very interesting painting, this is a top quality Old Master. 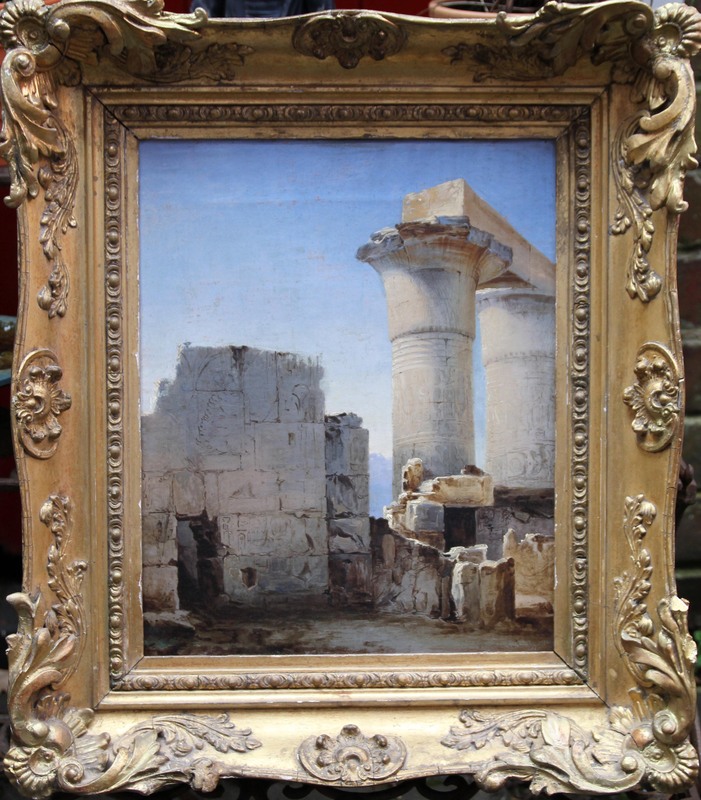 Original period gallery frame 24 inches by 21 inches. Good condition. Has ware/thin in places but has excellent colour.